HVAC air ducts are responsible for circulating the air around the house. It's true that it passes through the air filters and the registers as well, but the ducts are often “the weakest link” in the chain because they cannot be accessed directly and their maintenance isn’t a DIY task. Given this, it makes sense to take special measures for keeping these important components of the system in good condition. This will contribute to a better home indoor air quality and will help you save energy too. The parts of the duct system that get into contact with colder air such as those in the garage and attic will benefit most from insulation. This will help to reduce heat loss and make the HVAC system more energy-efficient. Additionally, well-insulated ducts are less likely to have leaks and get contaminated. You should compare the different insulation options based on a set of important factors including R-value, resistance to damage, durability and ease of installation. It pays off to check how environmentally friendly the product is too. Keep in mind that insulation doesn’t require any kind of care, so the amount of HVAC maintenance work you need to perform won’t increase. Leaks usually occur where there are connection gaps between two sections of the duct system. They are most commonly found around the registers. It is less likely for the ducts to get damaged and end up with holes. Leaks not only reduce the HVAC system’s energy efficiency but also increase the level of contamination of the ductwork considerably. That is why sealing them timely is essential. Air duct repair involves covering the gaps with a specially designed mastic sealant or metal tape. It is a mistake to use duct tape as it is neither effective nor lasting. With regular cleaning as part of HVAC maintenance, the ducts will be free from contaminants and the whole system will use less energy when running. More importantly, the air circulated by the system won’t be contaminated with dust, pollen and other particles which are potent allergens. In case the check reveals that the ductwork has been contaminated with mold or pest droppings and urine, air duct sanitizing will be required in addition to cleaning. This will guarantee the removal of all bacteria, viruses and other dangerous microorganisms which may be lurking in your HVAC system. These are the three foundational pillars of healthy ductwork and of proper duct maintenance that every homeowner should be aware of. 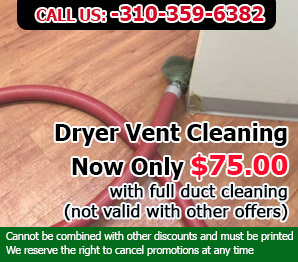 Our team of specialists from Air Duct Cleaning Redondo Beach will be happy to be of your service and assistance in all matters regarding ductwork cleaning!